We just received word from Stampin'Up! 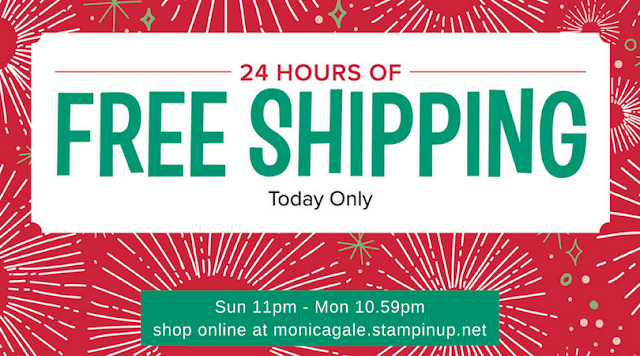 that starting tonight 10December at 11pm GMT you can get FREE DELIVERY on all your Stamping goods. Need some trimmer blades? a glue refill? whatever it is BIG or Small you can tale advantage of free shipping for these 24 hours. VISIT MY ONLINE SHOP and start shopping. As a thank you, each order will receive a card fro me and a small surprise.